The Bible is not first and foremost a theological textbook. There are many wonderful things that scholarly theological study has provided to the church. Academic theologians benefit us in many great ways. The Bible, however, is not a theological manual. It does not give us abstract theological truths written by ivory tower theologians who spent their days wrestling with the nuances of Greek grammar and theological history. Paul wrote as a man on the run, doing theology in the nitty-gritty of daily life. His theology is written to engage the believers in practical living for the glory of God. For him theology is about follow Jesus in daily living. Sound doctrine deals with discipleship. Paul begins his instruction to Titus in chapter 2 with the imperative: teach what accords with sound doctrine. The next nine verses delineate what he has in mind, and for Paul it’s person-specific instruction about how to live as followers of Christ in the various contexts in which we find ourselves. So, he gives Titus instructions for older men (v. 2), older women (v. 3), younger women (v. 4-5), and younger men (v. 6).He speaks again to Timothy’s character (v. 7), and finally to the responsibility of the “bondservant” (v.9). In each case he is focuses on character, obedience, and example. His list is not unlike the list given for the elder himself. Paul does not simply state that elders and pastors have to be pursuing godliness in their daily lives and responsibilities, what marks an elder is intended to mark all people. There are some unique features for the elder, to be sure, but godliness is expected of all Christians. He grounds his imperatives, at the end of the chapter, in God’s gracious intention (v. 11). It is God’s gracious intention to save us from rebellion and works of unrighteousness that prompts Paul’s instruction about godly living. This saving grace (v. 11) teaches us to say no to sin (v. 12), to live “upright, godly lives in the present age,” and to wait eagerly for the future return of Christ, “our blessed hope” (v. 13). Sound doctrine has to do with living now. It is about living now in light of the past, and living now in hope of the future. The past and future matter for godliness, but sound doctrine is very much about the present. Discipleship and theological study belong together. They are not just mutually important, they are actually far more interrelated than we realize. Titus 2 reveals that. It demonstrates that sound doctrine, contemplating the saving grace of God, exists as part of our godly living. Paul tells us that what accords with sound doctrine is not just abstract truth, but practiced truth. As Johnson says, “theology enriches Christians practice and…faithful obedience to Christ enables the learning of theology” (12). Sound doctrine is about discipleship. We need to recover the New Testament’s sense of lived theology. The church surely needs academic theologians to help us think critically and carefully about the truths we profess to believe. The academic theologian also needs the church. Theology that I can’t apply to living is useless theology. Paul gives us a good model of sound doctrine as discipleship. 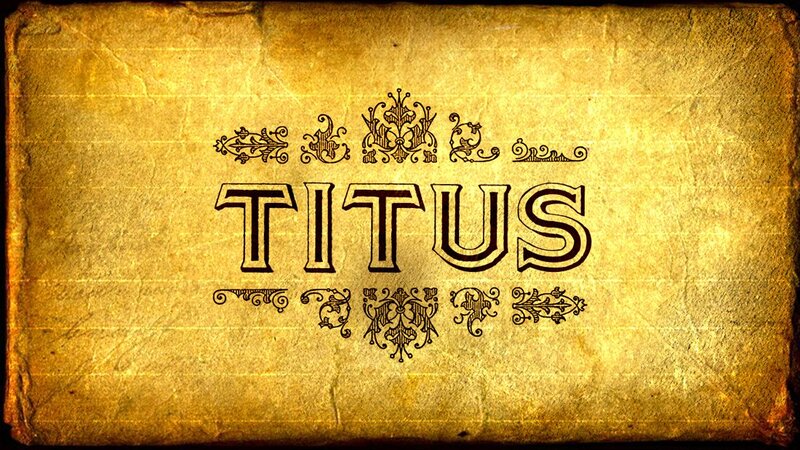 The church will do well to heed his words to Titus.